Basic Definition: The current in an electrical circuit is directly proportional to the applied voltage and inversely proportional to the resistance. Ohm’s Law is named after George Simon Ohm a German physicist. Ohm performed repeated experiments on a resistor, applied different voltages, measured current and found relationship between these quantities. He finally published the law in 1827 and generalized his observations in single statement: The current flowing through the resistor is directly proportional to the voltage applied across it. 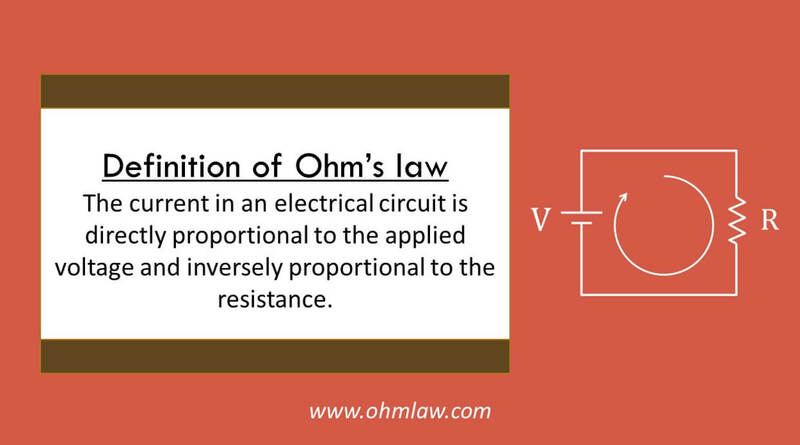 The website http://www.ohmlaw.com is a dedicated resource for Ohm’s law, calculation tools, applications and theoretical calculations on Ohm’s law. Copyright © 2019 Ohm Law. All rights reserved.